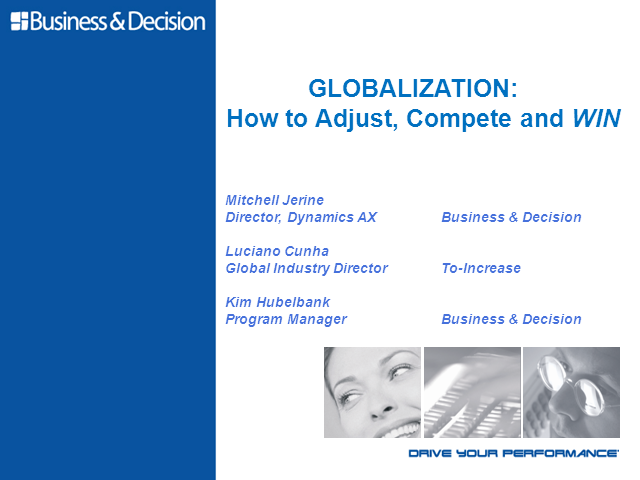 Examine the impact of rapid globalization on your business and learn new techniques to grow your market share in the face of foreign competition. In just 30 minutes, learn how to prepare quotes to win, manage product life cycle information, minimize costs and more. This is the first in a series of five online webcasts offered by Business & Decision designed to help industrial manufacturing executives gain strategies for more wins, bigger profits and greater stability.